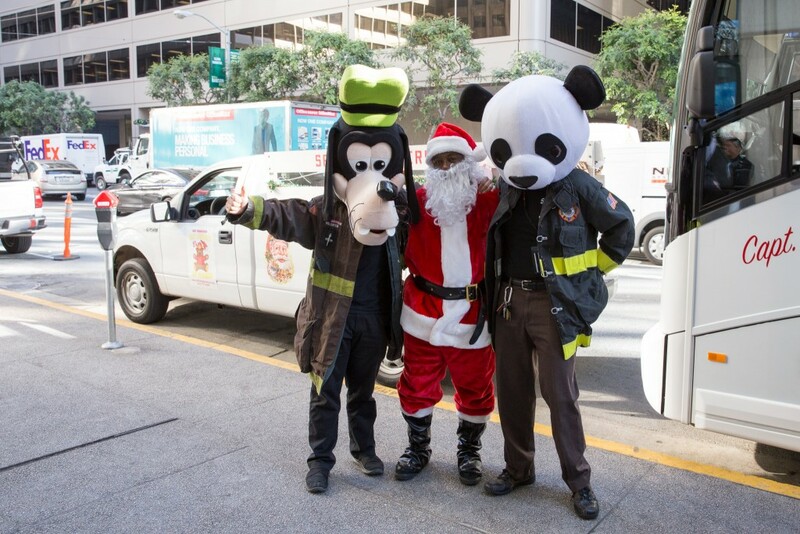 BURLINGAME, Calif., Dec. 13, 2017 – WeDriveU is confirming reports of Santa sightings in the Bay Area this week for its second annual #StuffTheBus program benefiting the San Francisco Firefighters Toy Program. 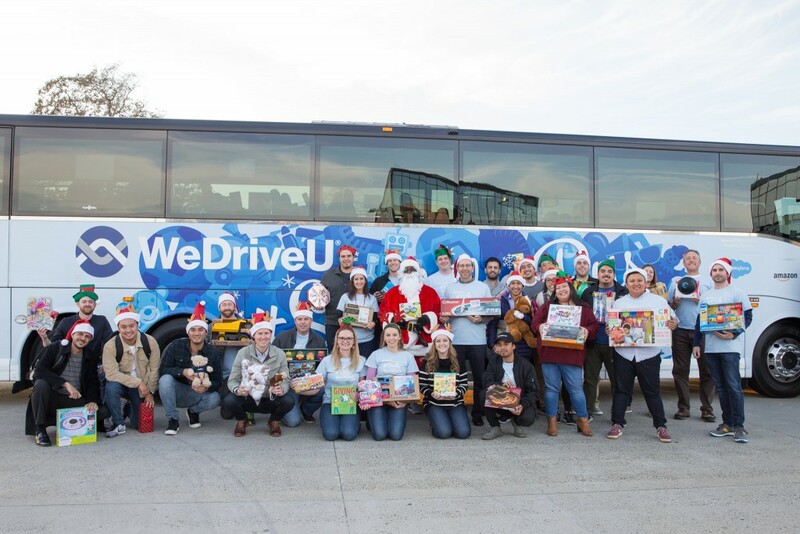 Elves loaded WeDriveU’s sleigh with hundreds of toys during #StuffTheBus events hosted by WeDriveU and its clients. 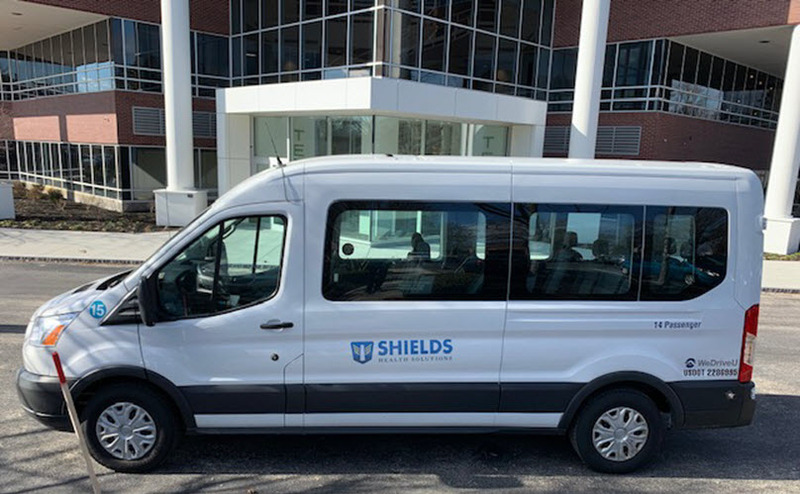 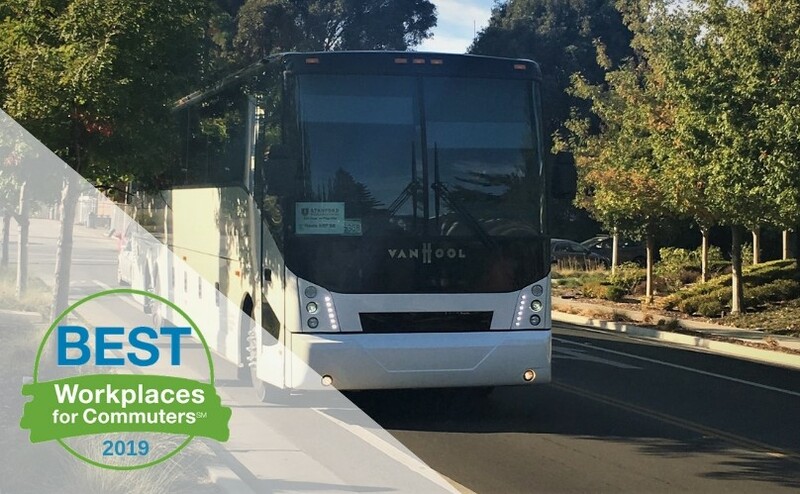 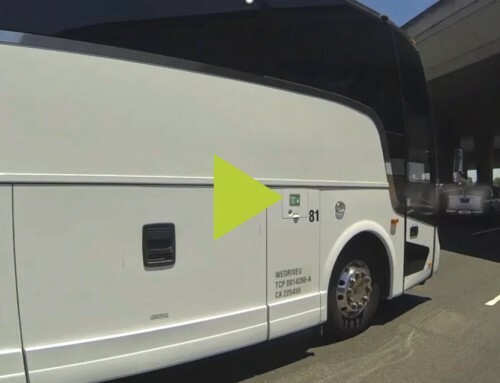 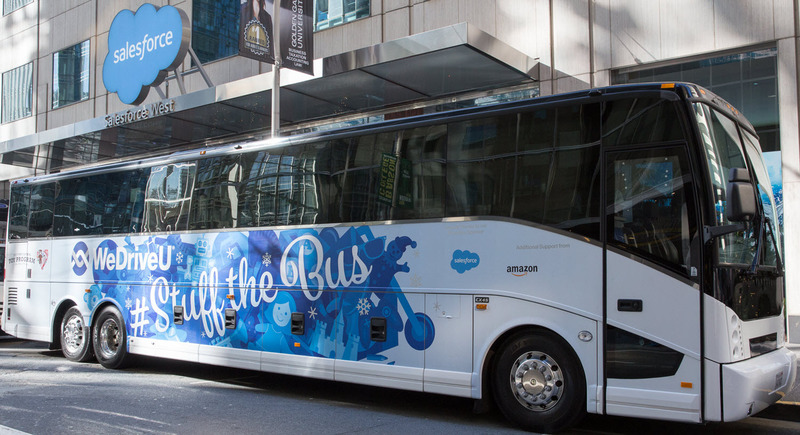 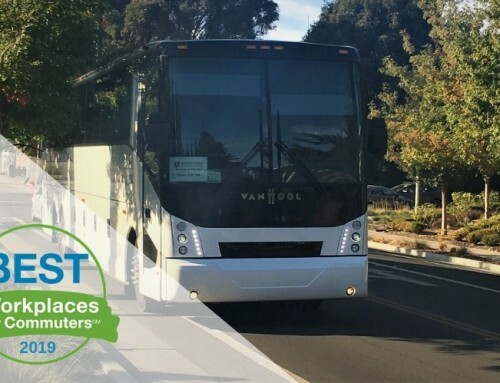 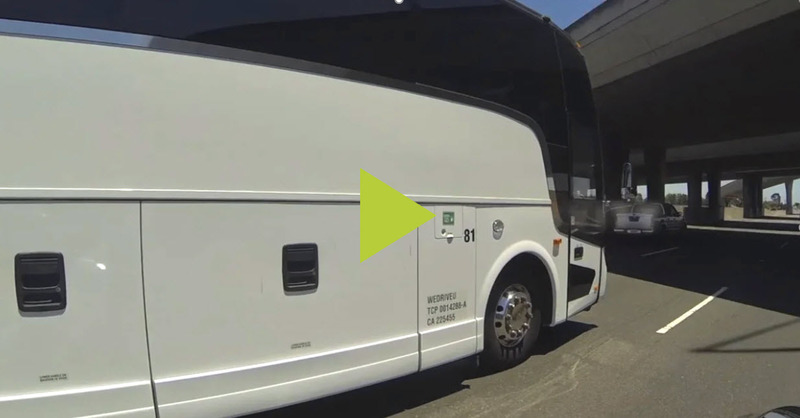 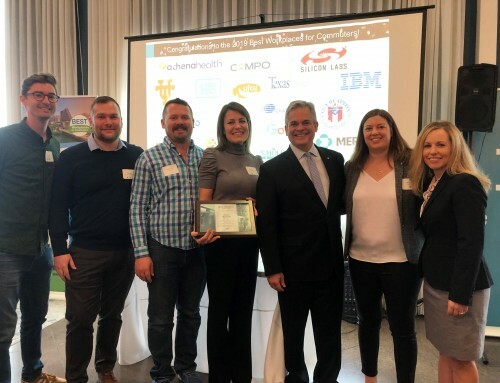 Participants include Salesforce (founding sponsor) and other supporters such as Amazon and LinkedIn’s RideIn commuter shuttle program. 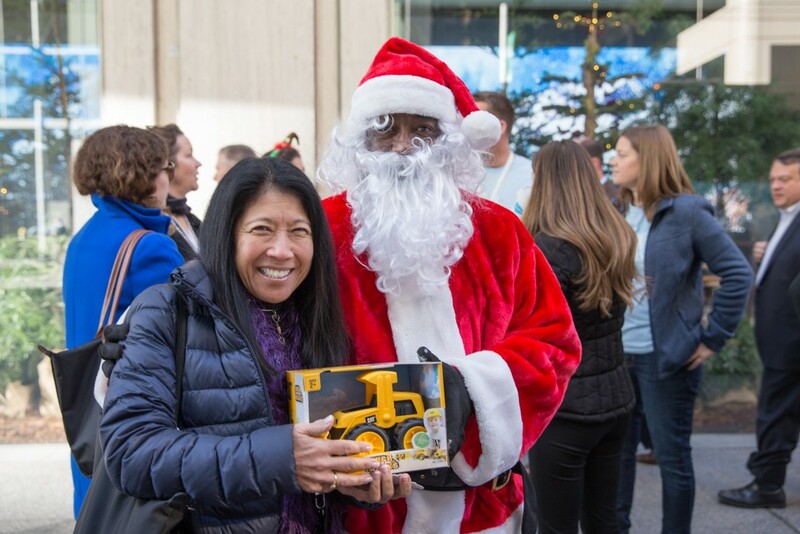 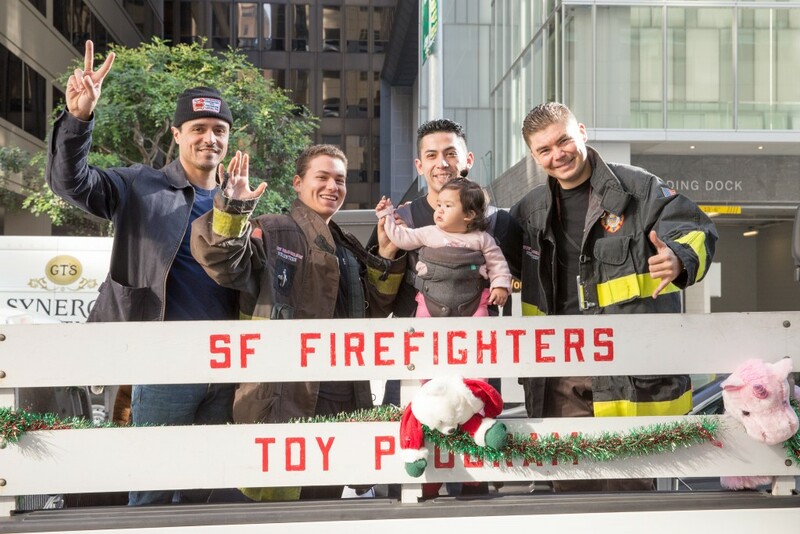 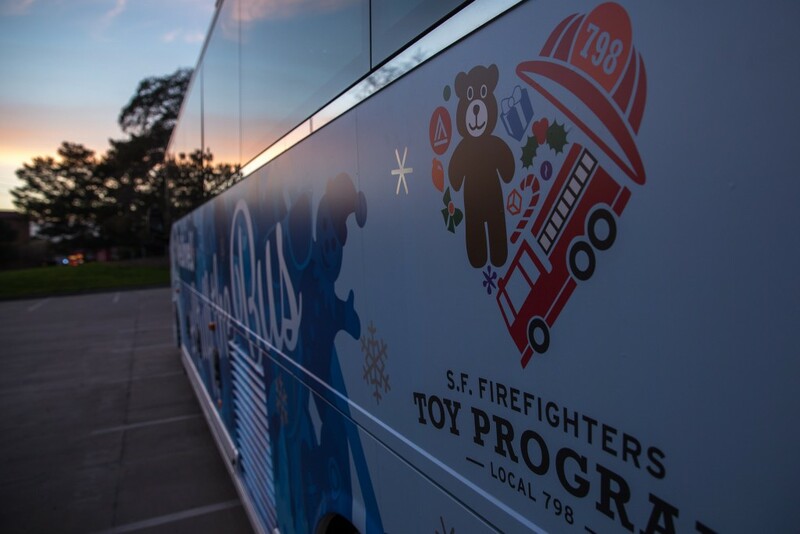 “On behalf of our firefighters and volunteers, we’re grateful to WeDriveU and their clients for helping us ensure every child in our region has the opportunity to experience the joy of receiving a new toy,” said Jill Peeler, Event Coordinator, San Francisco Firefighters Toy Program. 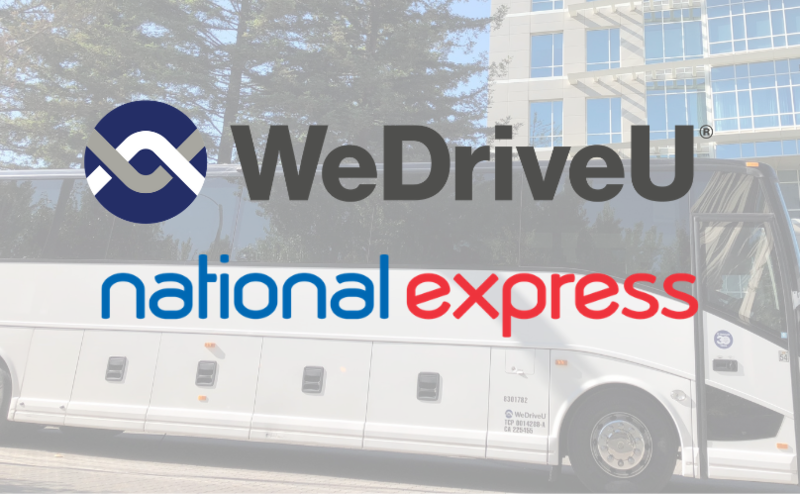 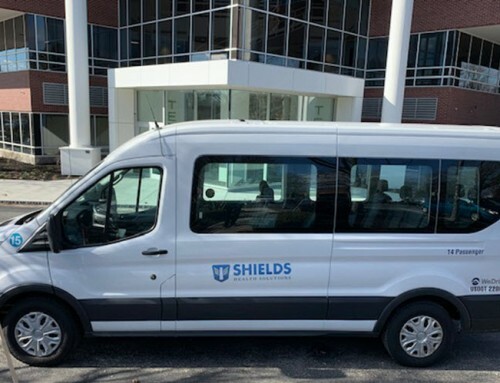 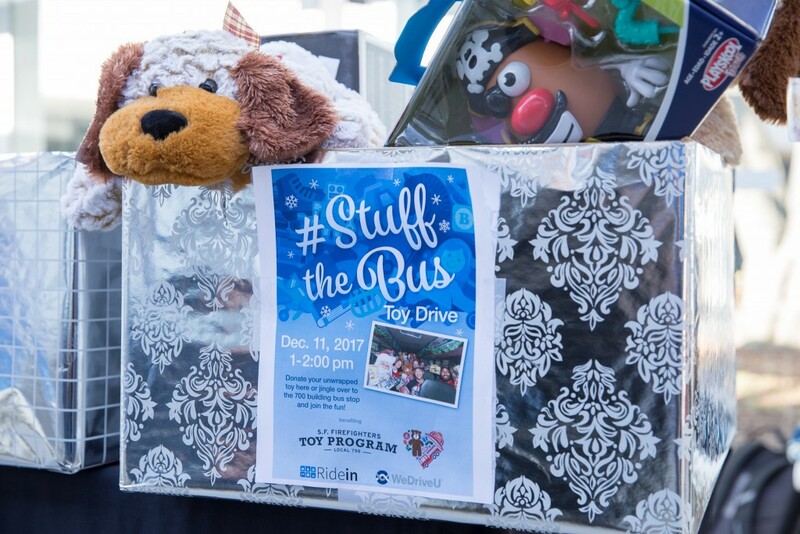 “WeDriveU’s #StuffTheBus program spotlights the generosity of companies giving back to our community as we lead the way to a better commute. 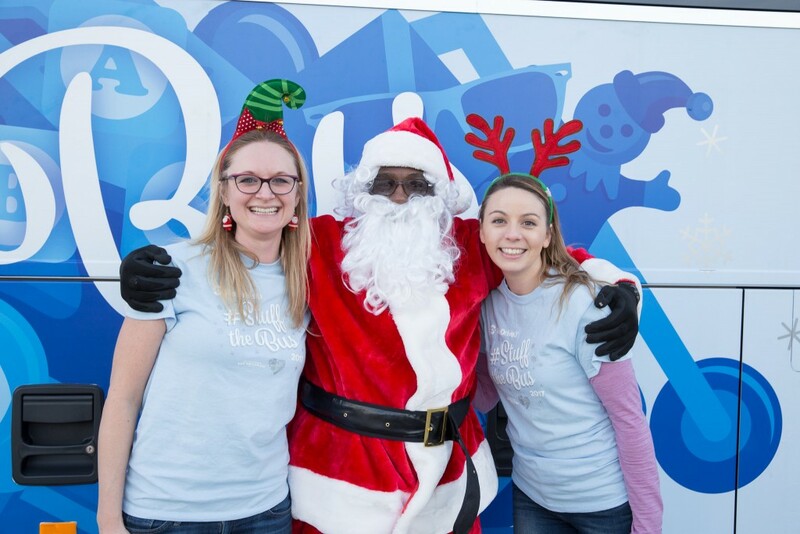 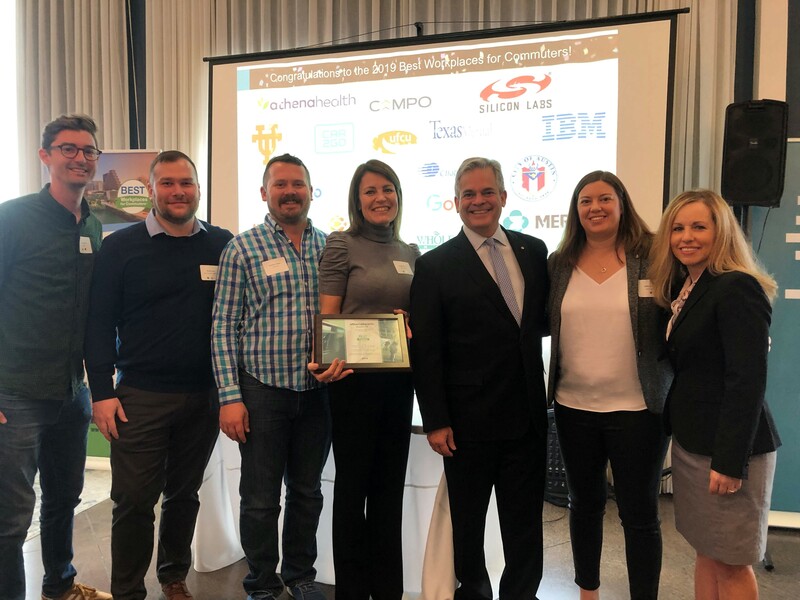 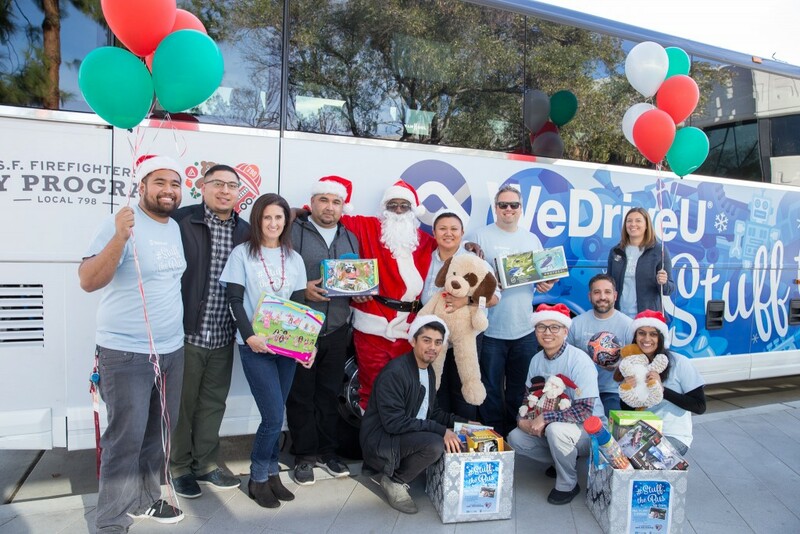 Teaming with clients to bring smiles to local children is a highlight of our year,” said Joanna Rustin, VP Marketing, WeDriveU. 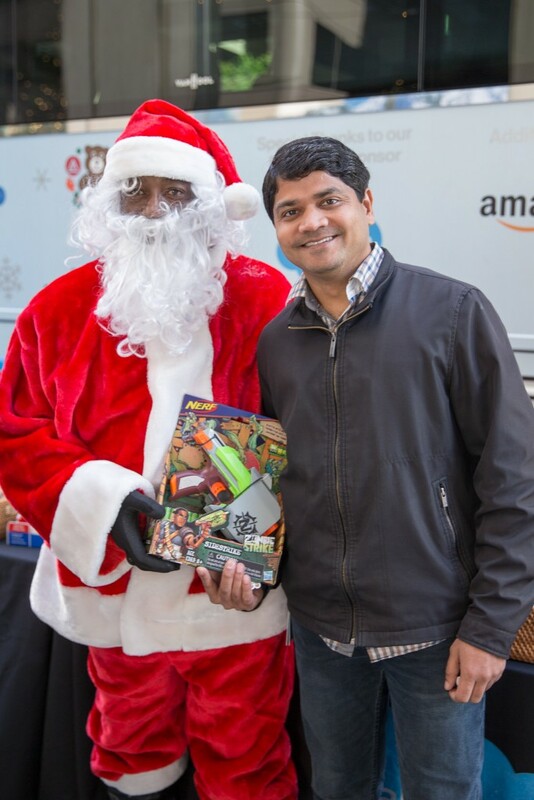 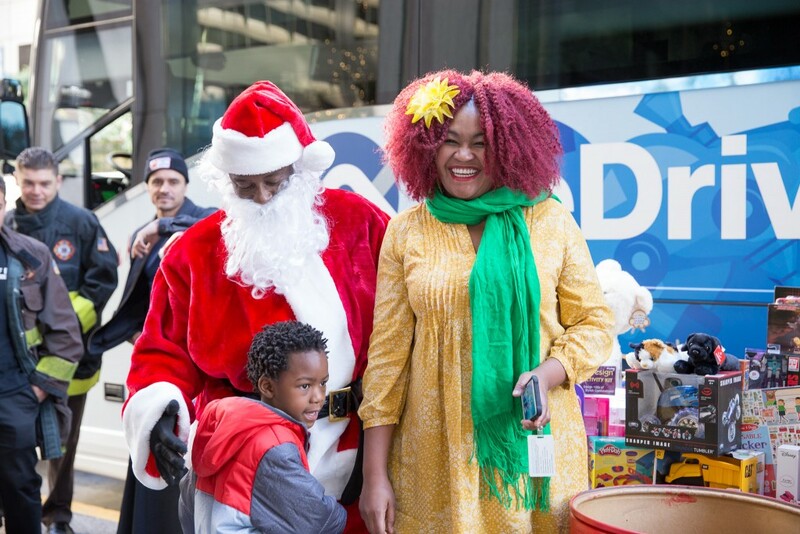 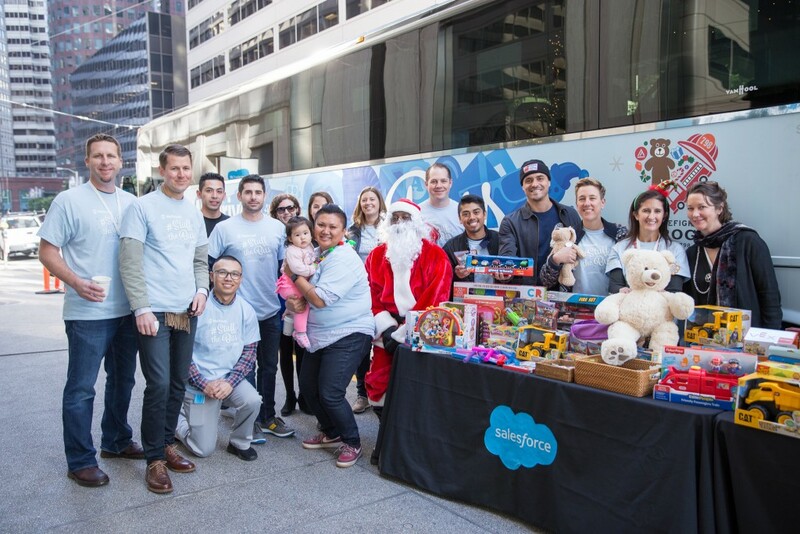 “Sharing joy with one another and with the kids and families in our community truly exemplifies our Ohana spirit at Salesforce. 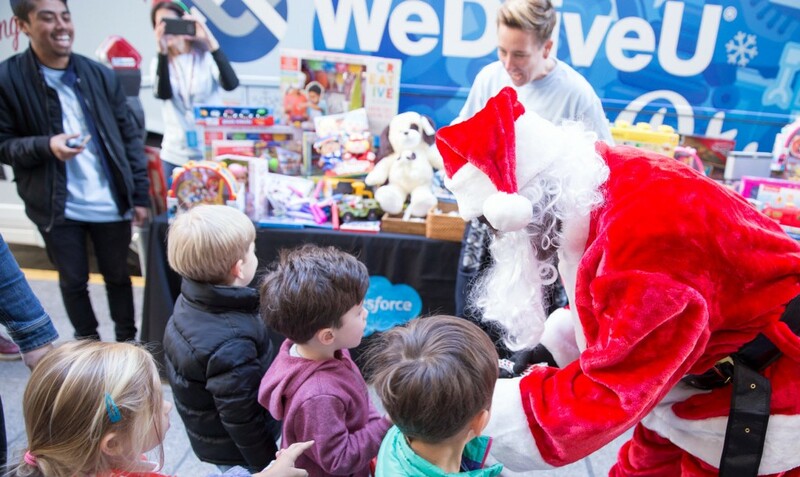 We look forward to hosting our toy drive with WeDriveU and are thrilled to see we stuffed the bus for delivery to SFFD,” said Lauren Bennett, Manager of Global Transportation, Salesforce. 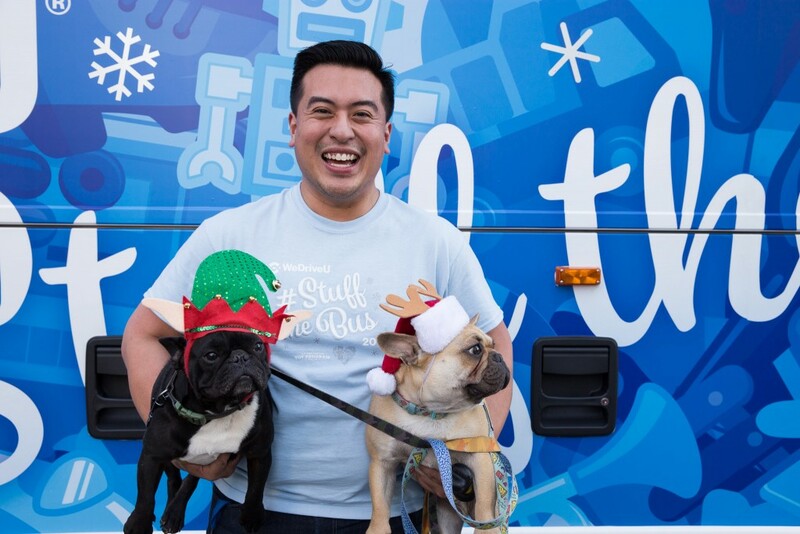 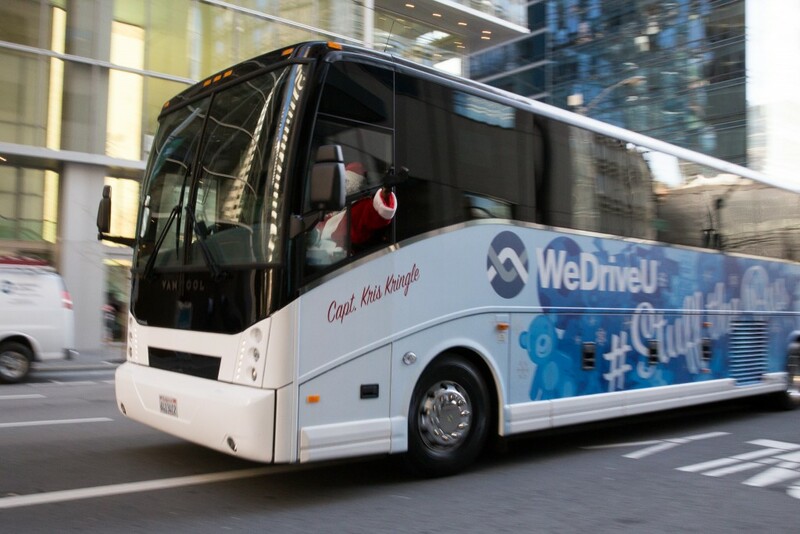 WeDriveU launched its #StuffTheBus mobile Santa Tracker this year for real-time trip planning, made possible by partner Tripshot. 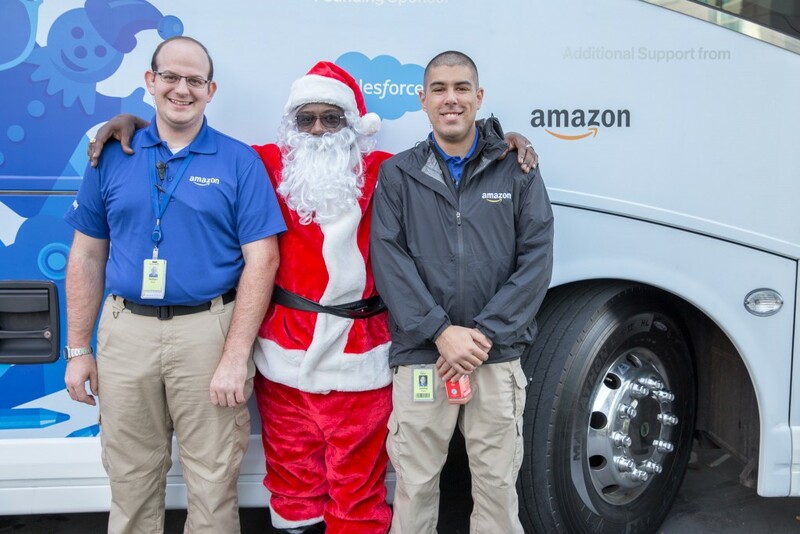 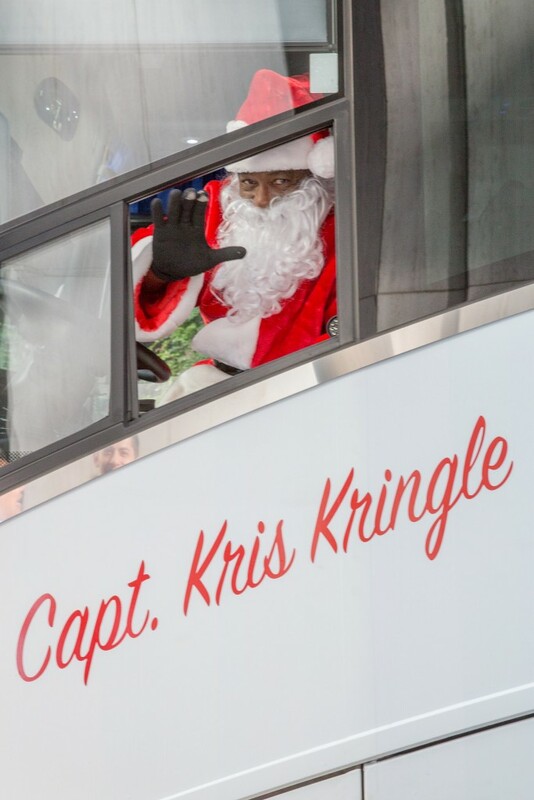 To Santa (aka WeDriveU bus driver Mike Moses) for merrily piloting WeDriveU’s sleigh for the Bay Area journey. 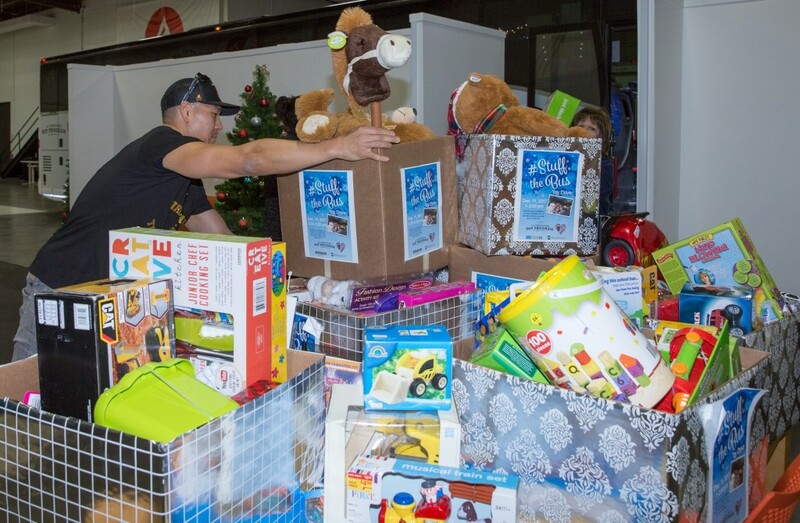 Good luck finding that sweet boy the crocodile he asked for. 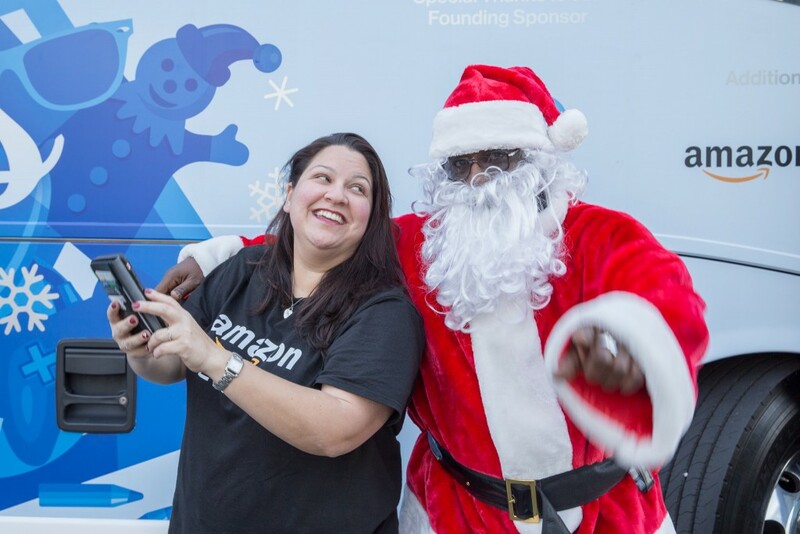 To our operational pros Jazmin Cariola and Jonathan Lopez for orchestrating all the details for Santa’s trip. 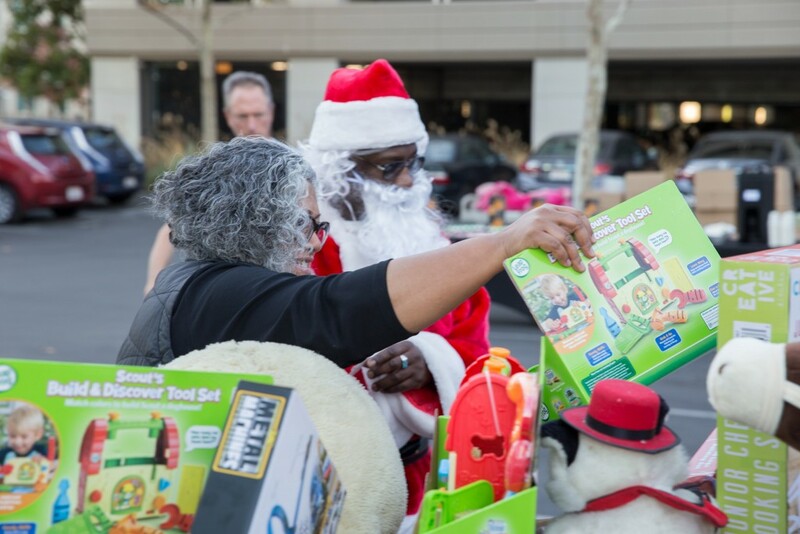 To our clients and partners for an amazing year #2 giving back to local children. 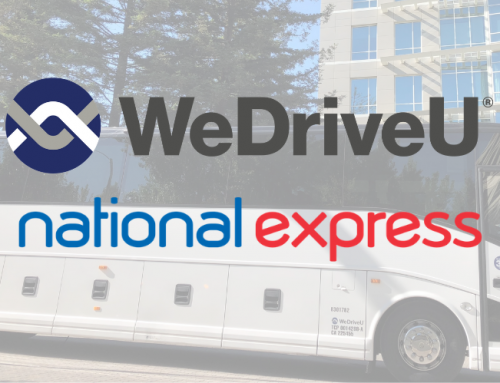 WeDriveU is a registered trademark of WeDriveU, Inc. Other marks are the property of their respective owners. 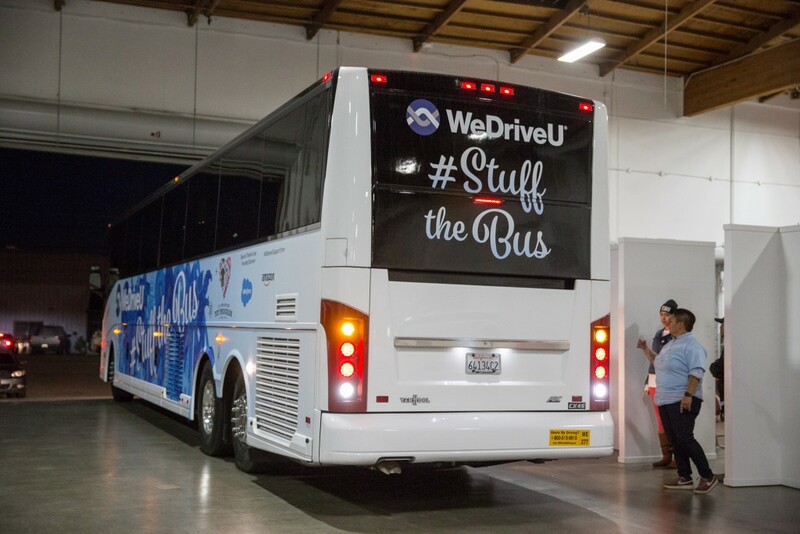 Images copyright WeDriveU. 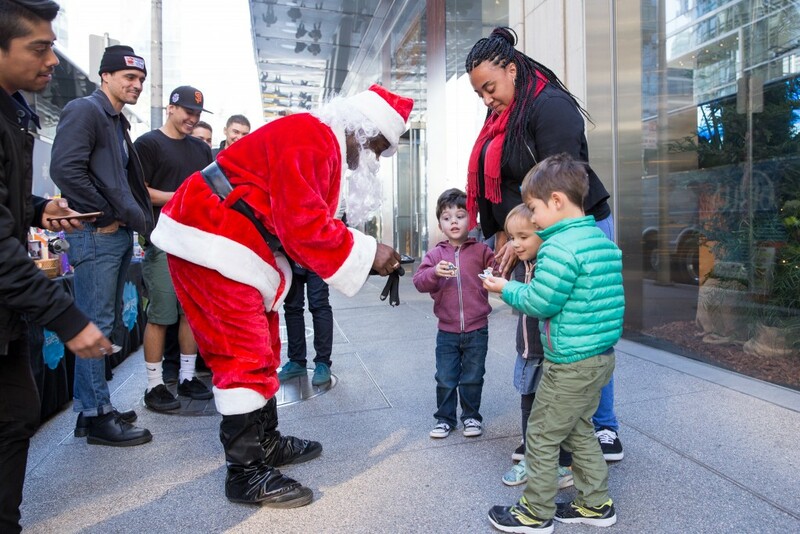 Photos by Michael Pegram.